You are currently browsing the tag archive for the ‘real estate listing’ tag. Another weekend is almost upon us. That is the beauty of short weeks I suppose. The weekend arrives that much sooner! Nice! As far as this weekend is concerned, it doesn’t look like it is going to be quite as warm as our last. That might give you the opportunity to start on your backyard makeover. Or it might be the perfect time to get out and check out a few open houses in the neighbourhood. What do you think? 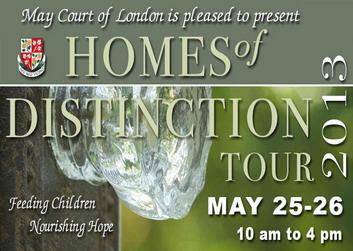 It is time for another Homes of Distinction Tour in London, Ontario! The May Court Club is proud to present six beautiful houses at this year’s tour from May 25-26, 2013. Doors will be open from 10 am – 4 pm at the six featured homes. Tickets cost $25 and get you entrance to all the homes, as well as the Carolinian Winery (4823 Dundas St) where complimentary refreshments will be served. All proceeds go to the May Court School Nutrition Program (which works in 91 schools across London), as well as select other agencies that May Court assists which support vulnerable children in our community. Are you interested where the tour meanders this year? It is sure to be another fabulous tour, so get your tickets today! Not sure how much wind is needed, but the weather man is predicting some and I bet the folks out at the Fanshawe Yacht Club and Sailing School should be thrilled, as they have their Annual Open House this weekend from 10 am – 4 pm on May 25-26, 2013. The club is located on Fanshawe Lake at the Fanshawe Conservation Area off Clarke Rd (north of Huron St). This event is Free and should be FUN! Make sure to bring soft-soled shoes, a windbreaker and a smile. Life jackets will be provided, as well as instructors and other knowledgable individuals to answer any questions you may have. The only other thing required is that wind to blow you around the lake! Or how about attending one of my Open Houses? That’s right, you have the choice between two Open Houses on Sunday, May 26th from 2-4 pm. And just to ease confusion, no, I am not splitting myself in two. I will be at 378 Richmeadow Rd (Open House #2) and another agent is helping me out on 44 Emery St. Your first stop is 44 Emery St, London. This quaint bungalow is walking distance to all the best that Old South has to offer. It has 2+1 bedrooms, 2 full baths, and sits on a 30′ x 189′ lot. 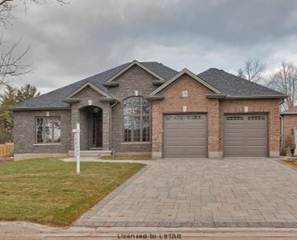 There is a detached garage, beautifully landscaped gardens, plus a hot tub on your very own back deck! 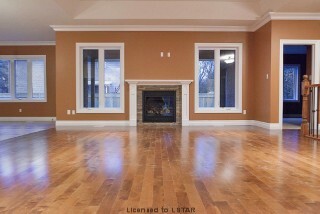 This great home also features a gas fireplace, hardwood floors, central air and a finished basement. All it needs now is a new owner! Is that you? Now this 8 year-old house is a dream for any family needing to relocate. The 3-bedroom home, situated in desirable Oakridge, is walking distance to some fine local schools. The 61.73′ x 110.17′ lot leaves plenty of space to relax, run around in or just have fun in the sun. There is a mix of hardwood, carpet and ceramics throughout this beautiful home that features a stunning two-sided gas fireplace. 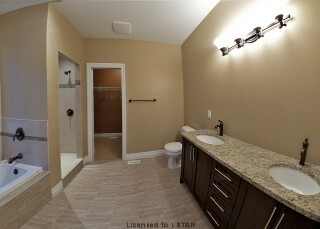 And yes, it does have that coveted ensuite bath off your sizable master bedroom. All you need to do is stop by to take a look, and we can take care of the paperwork from there. See you Sunday! Have you ever wondered what some of the real estate descriptions truly mean when you read a real estate listing? While some descriptions are straight forward, like “3 bedrooms” or “”1 bath, what does “unspoiled” mean? How about “classic”? When you are searching for that perfect home, it can be hard to know what a house might have to offer from the few short sentences and 1″ square picture that is your first impression. If you really want to know, call me and we can discuss real estate whenever you want. If you want to do a little homework first, here’s my coles notes on a few real estate terms unmasked. 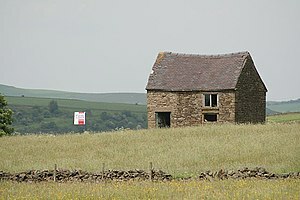 Needs some TLC – Watch out unless you are a ready for a lot of work. While you might think tender loving care comes in the form of paint, more often than not, TLC stands for “tonnes of labour to come“. 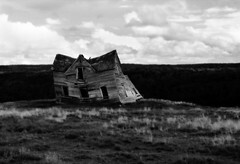 Beware the fixer upper! On the edge of… – While the surrounding neighbourhood might have a draw, the one this house is situated in isn’t quite there. It might be cheaper, but there might be a reason for that. Sometimes location is everything. Starter home – We all have to start somewhere, but usually that means smaller and with less bells and whistles. Don’t expect an executive master or custom kitchen here. The “basics” are what you get when you are starting out folks. Move-in ready – Hope you like the paint scheme, because the present owners just painted. Some upgrades might have been done recently, so no big projects are glaringly obvious to the potential buyer. Cute – Much as babies and puppies are cute when they are small, so too does a house look cute when it is compact. Your square footage probably won’t be through the roof on a “cute”, but small house. Nice sized – You won’t find measurements as small as in your last “cute” house, but a nice-sized room often isn’t overly large. You’ll be able to fit in the basics to a nice-sized home, but there won’t be tonnes of room left over. Larger than it looks! – At first glance, again this home might not break the bank on exterior measurements, but layout has probably been optimized to maximize what square footage there is. Basement potential – In a word; unfinished. The nice thing though is that most times the height of the basement ceiling should be high enough to potentially finish the space to create livable space with a little work. Unspoiled – Similar to the above entry, “unspoiled” means that the described item is original to the house. No work has been done to it either properly or to mar the historical aspect of it. Mold this “unspoiled” item to your own designs! Classic – Anything that is “classic”, usually also translates to it being old. Whether it is a classic neighbourhood with older homes dating back a century or more, or classic features, like crown mold or wide base boards, you can bet that you won’t be finding these classic features on a newly built model. What are you looking for in a house? Let’s start with some of the particulars on this brand new home, shall we? What you see here is a three-bedroom ranch-style house, near Adelaide St, just north of Windermere Rd. 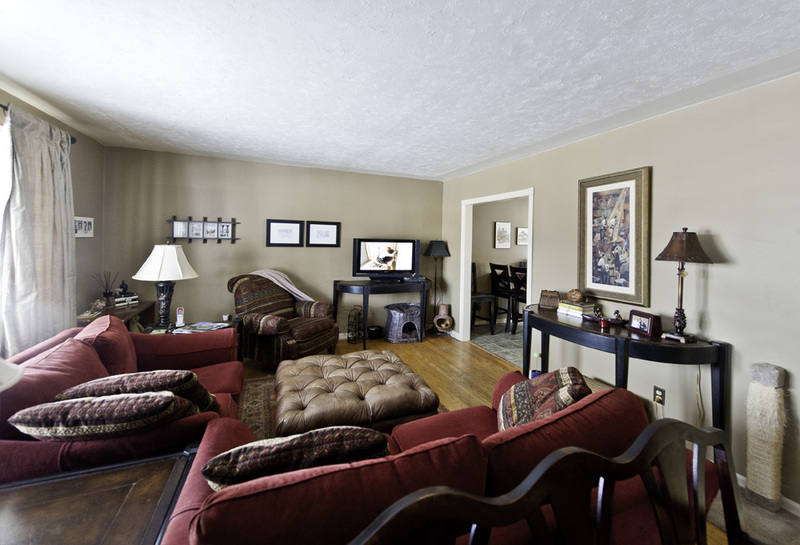 It is close to shopping, great schools, UWO, and is found on a high-end street. 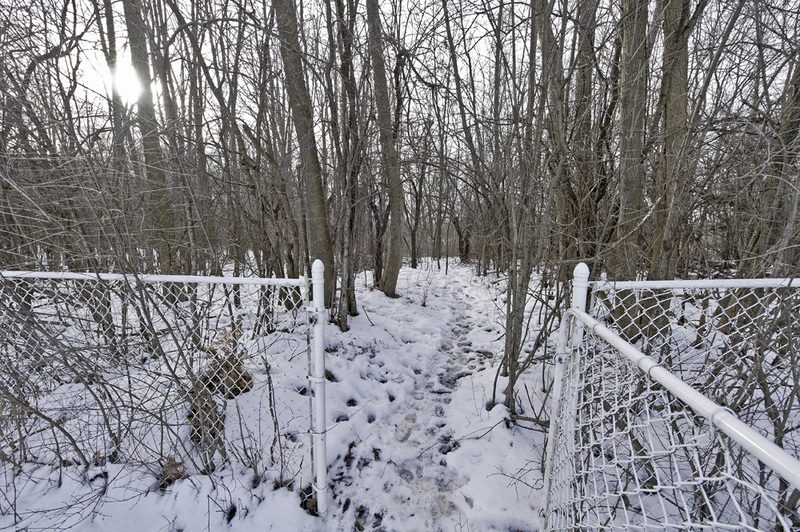 Nature trails are located right across the road, leading to a ravine and stream. When you have had enough of the outside world, then head home to your beautiful house with a 62.50 frontage, and just over 1,800 sq feet of space inside, plus basement! And that space is nothing to sniff at! 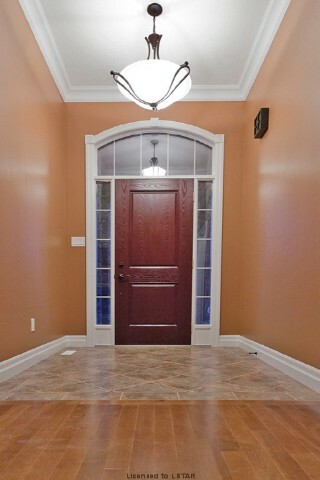 Step into the front door and you will find yourself in a large foyer (2.36 m x 1.75 m). This is just a taste of the luxury you will find as you move further into this lovely house. If the weather is inclement out, you also have the option of entering your brand new home through the attached double-car garage. Perfect for his and hers vehicles! When you need to warm up from the cold, then move along to your gigantic great room (5.49 m x 6.71 m) and spark up a fire in the gas fireplace. I bet you won’t be able to help but admire your gleaming hard wood floors along the way. Sometimes its the little touches that make you feel most at home! Time to whip up dinner! I haven’t mentioned one of the nicest selling features of this luxury abode though yet! You have to see this high-end kitchen in person to appreciate all it has to offer. 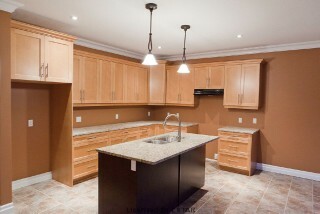 Your gourmet kitchen features ceramic tile floor, hardwood cupboards and granite counter tops. Nice! There are lots of other great features in this luxury home. Let yourself be spoiled by two bathrooms, one with a deep soaker tub and separate shower enclosure. All three bedrooms are good sizes. Central air is a perk that you will appreciate come the heat of London summers again, but forced air heating will keep you warm until then. An unfinished basement provides unlimited options to expand your living experience; perhaps storage, a work room, man cave, rec room, office or whatever you can dream up. Plus, Tarion offers a full one year warranty, as well as seven years of structural coverage. What more could anyone ask for?! So now that I have tickled your curiousity, why not pick up the phone and give me a call, so that I can show you this great home before it is gone. I’ll be waiting to hear from you! The number is (519) 672-9880. Every week I try to come up with great things to see and do in London, Ontario. It’s my hometown and I am proud to promote everything about it. There is always great theatre to watch (like Laughter on the 23rd Floor at the Palace Theatre), sporting events to attend (like taking in a London Knights game at Budweiser Gardens), or just plain fun to be had at places like Storybook Gardens, Adventures on Wonderland or Fanshawe Pioneer Village. We have art, history, adventure and nature, all available at our fingertips. The trick is you have to be here to experience it. Check out your very own personal passage into the Westminster Ponds. Did you know there are approximately 200 hectares to explore in this conservation area that is home to birds, fish, insects, beavers, coyotes and even white-tailed deer! Plus a whole lot of trees are in there producing oxygen, homes for animals and reducing pollution in the air, water and even our ears (gotta appreciate leaves!). Have I caught your attention yet? Are you curious about what is on this side of that gate? Let me show you! This four-level side split is the newest home to hit the London market this week. 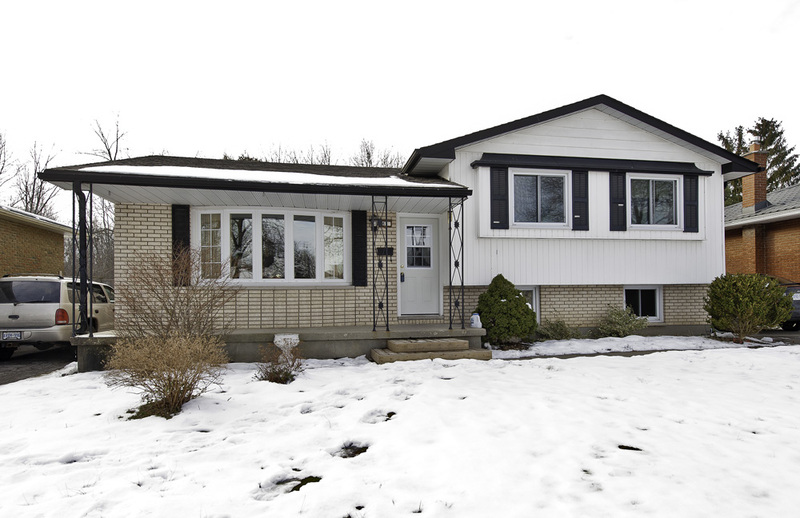 It is a 3+1 bedroom detached home with 2 baths and a gas fireplace. With a detached 1.5 car garage, the hobbyists out there will be scrambling to snap this home up. The kids will equalling be begging to make this house their new home with the addition of an inground pool in the backyard. Don’t worry about the punishing rays of the summer sun either, as this home comes complete with a cabana right off the deck as well. Nice! Plus, if you have guests coming to visit you from out-of-town, you have the convenience of being located mere minutes from the highway. Perfect! I haven’t even mentioned the best part about this house yet; the price. With all of those perks, first-time home buyers might not think this beautiful home is in their price range, but they would be wrong. The listing price on this perfect family home is listed at the low, low price of just $219, 900. You heard me right – $219,900! Need I say anymore? How about I let you think about all the perks that London has to offer, that nature is literally on your doorstep and that this home has something for every member of the family. I’ll be waiting to hear from you to take you on a personal tour of this super house for sale in London, Ontario, this weekend! I often play host to many an Open House that is held around the city. My job is to meet and greet folks at the door, as they step into a house for sale and try to make them feel at home. I answer any questions people have and help them out when they are ready to sign on the dotted line. Really, that is the same role as any proprietor at an Open House though, whether it be a real estate transaction or a business that is opening their doors to the public for their exploration. Well, this weekend in London, Ontario you are in luck, as there are a few Open Houses to explore around the city. Check it out! First up, why not think about stopping by the new home of Budding Artists for a little holiday cheer? They are located behind Parkwood Hospital (old Sitting Tree location) at 944 Western Counties Rd in the Bruce Pavilion Building. The Open House will be open to the public from 10 am – 2 pm and craft activities will be available for the kids, as well as hot drinks and snacks for everyone. While your children get their faces painted, you can get a head-start on Christmas shopping too, as there will be eco-friendly art kits available, as well as Budding Artists keepsake products. Why not think about keeping your Christmas shopping dollars local this year, by spending them at a local Canadian company that promotes children’s creativity and imagination through the Arts? If you are looking for items for everyone on your Christmas list, you could also head to downtown London to explore the 11th Annual Richmond Row Christmas Walk. This year the local event is being held on November 22nd and 23rd from 5-9 pm. Compliments of ImPark, there will be plenty of free parking, but that is just the beginning. Local vendors have dug deep and you are eligible for 34 fabulous prizes, including a Grand Prize of 4 tickets to see Miracle on 34th St at the Grand Theatre, plus dinner for 4 at Wink’s Eatery and a night’s stay at the Station Park Hotel. Even if you don’t win one of the many prizes available, there will be free horse and carriage rides on Thursday, plus photo opportunities to snap a picture of you, Santa and a real, live reindeer on Friday. Grab snacks at local businesses and enjoy carolers as they stroll down Richmond Row. Don’t forget to vote on the best window display while you are there too! You even have the opportunity to meet me, Jim, on Sunday, November 25th from 2-4 pm, as I play host at another Open House at 534 Willowdale Rd. This Open House is more of the traditional real estate listing kind though. When you arrive, you will be able to explore this 3 bedroom, 2 bath home, situated on a 62′ wide lot. That’s a lot of space for this brand new house on a high-end street. You’ll find a gourmet kitchen with granite countertops, a 36″ gas fireplace and top quality finishes throughout. Plus, there are nature trails to wander right across the road. Don’t take my word for it though. You have to see this home to appreciate all it has to offer. See you Sunday! Have a great weekend Londoners!